For this adorable woodland 'Knight Owl' design I have selected a subtle, woodland blend of greens and browns with a flash of orange to compliment the aqua blue breast plate. All the materials within your kit are of the highest quality, ensuring a beautiful, long lasting finish. This is a relatively small scale design so would be fine for beginner through to experienced crafters. 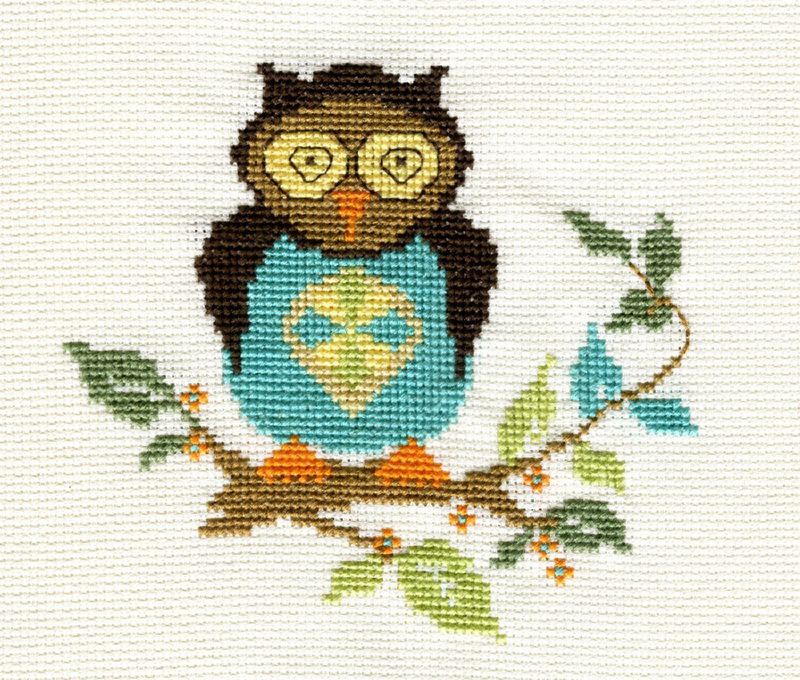 A counted cross stitch chart designed by myself (one square represents one cross stitch). Eight high quality, Presorted embroidery threads in the colours needed to complete the picture. These are colour fast and fade resistant. As the kit comes with functioning embroidery needles, therefore the recommended age for this kit is 12+ years. The finished image is 11cm x10cm.